This article was initially published on the Totara website on 4th January 2017. “Welcome to the first instalment of our new Disruption Debate series, where we speak to leading industry experts to discover more about disruption in the L&D industry. In this post, Totara Learning's Chief Commercial Officer Lars Hyland speaks to Charles Jennings. 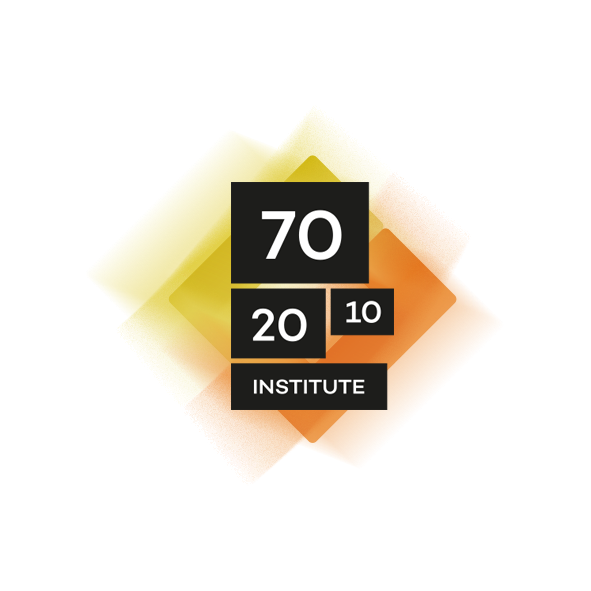 Charles is a co-founder of the 70:20:10 Institute, as well as a leading thinker and practitioner in learning, development and performance”. As we enter uncertain global times, never before has technology played such a key role in our lives, whether it’s at home, on the move or in the workplace. Technology is now widely considered a fundamental change agent for how we live our lives and run our businesses, and Charles believes that embracing technology is one key factor for the success of L&D and HR departments. Today’s L&D technology requirements are vastly different from how they started out. The traditional L&D infrastructure came out of HR/IS requirements for digital record keeping, and the first learning management systems were essentially extensions of these HR systems. They were filing and scheduling systems for training, with no real support for any flexible learning. Charles said: “To launch an e-learning course, some of the early LMS platforms I used required as many as 15 clicks, some of them counterintuitive”. However, with the rise of social media, a whole new generation of technologies arrived which can be attached to modern LMS products that can enhance the learning experience. This is a clear move from organisation-led to consumer-led behaviour as economies and organisations evolve. People today expect technology to be proactive and to prompt them with what they need to know in order to ‘do’, rather than having to seek it out themselves. However, there is a balance for organisations to strike between the user’s desire for just-in-time learning and changing the direction of behaviour effectively. People need the information and tools to do their jobs, but there is also a cultural element in what L&D needs to do. It is our job as L&D professionals to ensure that learning is constructed to be engaging, persuasive and responsive to workers’ needs, not dictatorial, and that we help support our workforce to a common purpose and culture. Charles believes that the 70:20:10 model is an effective way to ensure that this happens. Charles also shared a joke: “How many HR people does it take to change a lightbulb? The answer is “Only one, but it usually takes the entire department to determine the process”. What does this say about L&D? Much of what L&D professionals do is around processes, but process is just part of the picture, and it’s around inputs. We need to flip our thinking, and instead be focusing on the outputs, not just on how we get there. What do people need to be able to do? What does success look like? What elements of this already reside in our people? How can we help build that knowledge and those skills? Discussing skills, Charles mentioned a recent study from the US Midwest. The US Government has put the problem of jobs in the area not being filled down to a skills gap, but this study found the problem wasn’t a lack of skills at all, but that in fact, people simply were not prepared to do the available jobs for the money being offered, leading to rising unemployment. The knee-jerk ‘skills’ reaction was wrong. People had the skills, but the environment being offered for them to use those skills was the inhibiting factor. Situations like this, which are increasingly common, present a real challenge for L&D. The idea that helping people develop skills alone will lead to high performance is a fallacy. L&D needs to look and work beyond ‘skills’ if it is to have an impact. Knowing what to do and how to do it are two important ‘bricks’ for high performance, but if we stop there people will never fully achieve it. “If L&D practitioners thought less about knowledge and skills and more about keeping people engaged and motivated, we’d see a huge change in results. Learning is a key engagement motivator, but behaviour change only comes about when learning is ‘deep’. A key issue in the battle to play their part in developing high performing people, teams and organisations is that often, despite their best efforts, L&D professionals are dragged back by people asking for a specific course to tackle a specific skills challenge. This often doesn’t take into account the bigger picture, and usually results in L&D doing more of the same. Instead, we should be thinking in terms of how to motivate people effectively to do their jobs, and whether or not our motivation tools are designed to help us achieve our objectives. So what’s the answer to the inertia issue? Charles has a suggestion of his own.